Sometimes a small act of kindness can have huge meaning for someone else, and that’s the lesson kids see beautifully and whimsically in Plant a Kiss by Amy Krouse Rosenthal and illustrated by Peter H. Reynolds which we even included in our roundup of sweet Valentine’s Day gift ideas for babies and younger children. This is a sweet read that your kids can really learn from too, but even pre-readers will turning the pages and enjoying the illustrations. 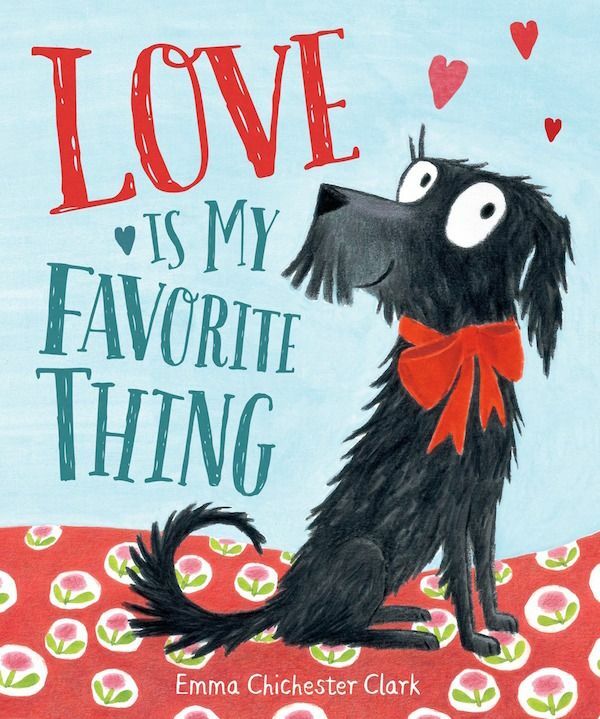 I’ve been surprisingly moved by Love Is My Favorite Thing by Emma Chichester Clark, which is a book about a naughty dog who means well — a topic that is usually not my thing. However the book turns, when the dog realizes his misbehavior and worries that his owners won’t still love him because of it. It’s a great metaphor for parent-child relationships, and a smart reminder to tell our kids that we love them always, even if we don’t always like everything they do. 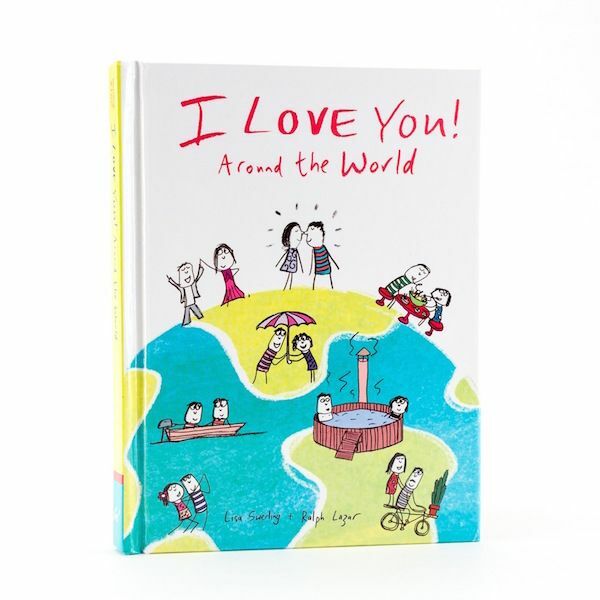 I Love You Around the World by Lisa Swerling and Ralph Lazar (also, photo at very top), as the title suggests, depicts how I love you is said — and shown — in countries all over the world. I love the global perspective and the many vibrant cultures kids are exposed to in this fun new book. 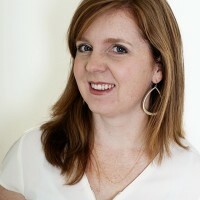 Plus, this mom will never get tired of hearing an I love you from my children, no matter what the language. 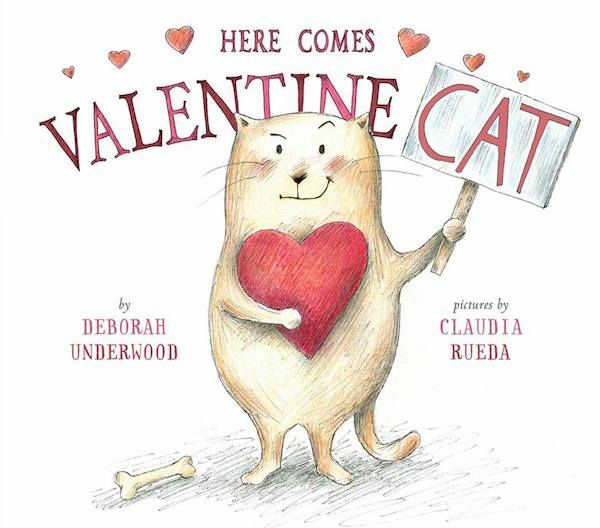 Again from the files of anthropomorphic animal books I don’t tend to like, turns out that Here Comes Valentine Cat by Deborah Underwood and illustrated by Claudia Rueda is a great choice, even for non-cat families. Do not let the main feline character deter you; this story is funny, sneaky and sweet all at the same time. And the way it’s written, with the reader addressing the cat directly, is so fun for kids. Find all these books at our affiliate Amazon, your library, or your local independent bookstore.